Thread: India—Pakistan Relations: Does Modi Matter? As the new Indian government has settled in, what will happen to its relations with Pakistan? While some take comfort in the idea that the strong nationalist credentials of the new Prime Minister could facilitate a peace agreement with Pakistan, others argue that the risk of communal violence created by the Hindutva ideology1 of the new government could be a potential impediment to better India–Pakistan relations. But the evolution of the bilateral relationship is unlikely to depend on either of these considerations; it is also unlikely to depend primarily on New Delhi. Narendra Modi's decision to invite his Pakistani counterpart, Nawaz Sharif, to his May 26, 2014, swearing-in ceremony, along with all the other heads of state or government from the South Asian Association for Regional Cooperation (SAARC), was considered a positive gesture on both sides of the border. The meeting between the two Prime Ministers was cordial and frank but—to no one's surprise—not groundbreaking. However, the two countries have already interpreted this early meeting differently. The Indian side viewed it as a signal that New Delhi was open to resetting relations, but on its own terms, most of which have to do with preventing terrorist attacks from originating in Pakistan or with Pakistani support. By inviting the leaders of all South Asian countries to his swearing-in ceremony, Modi undoubtedly seized the initiative. There is, however, little he can or is probably willing to do unless Pakistan clarifies its own position on the terrorism issue. Substantive progress will thus demand much more than friendly political statements. The Pakistani side welcomed the invitation, but both Islamabad's initial hesitation and the comments on the visit from personalities close to the security establishment soon demonstrated that, although Pakistan officially and sincerely favors better relations with India, its security establishment and parts of the political establishment remain divided on the issue of normalizing relations with its neighbor. Islamabad can no longer hide its inaction behind the electoral campaign in India or the alleged inability of Indian decision makers to deliver on their own potential commitments. Although it cannot coerce India toward any specific outcome, the actual decision to normalize relations will primarily be Pakistan's. Even among Sharif's own constituency, there is no consensus on if, when, or how to move forward with normalization. A large part of the problem lies in the difficult civilian-military relationship within Pakistan. Pakistan has known four military coups and been under military leadership for most of its existence. Even when civilians have held power, the military has pulled the strings from behind the scene in order to retain control over domains they considered to be theirs, like foreign policy. It is doubtful that the Pakistani military entertains the idea of better relations with India for reasons beyond the narrowly tactical. The Pakistani military is currently busy on its Western front, fighting insurgent groups and terrorism, and is unwilling and incapable to confront India. It therefore needs the civilian government to appease India. The Pakistani prime minister therefore has a diplomatic opportunity, but it remains to be seen whether he will have the capacity to translate it into a substantial rapprochement with India. Nawaz Sharif and the Pakistani military are caught in a zero-sum game of sorts: Sharif is trying to turn a tactical rapprochement with India into a more permanent arrangement (the nature of which still needs to be defined), but the military is trying desperately to prevent any reset with India from affecting any of Pakistan's territorial claims, i.e. Kashmir. Because of Pakistan's dysfunctional civil-military relations, and therefore uncertain political future, India is left in an essentially reactive role. The election of a new government may have elevated India's resolve to punish Pakistan in case of terrorist attack—Narendra Modi made several statements during the electoral campaign to indicate he would not remain passive in the case of a Pakistan-supported terrorist attack and could not afford politically to look weak should that occur. However, this has not increased India's capacity to coerce its neighbor into any specific outcome. India, recognizing that the ball is squarely in Pakistan's court, is therefore likely to adopt a “wait and see” attitude. But New Delhi will have to walk a fine line between ignoring Pakistan (which it cannot really afford to do) and keeping the door to better relations open wide enough to provide a real incentive for Islamabad to adopt meaningful new policies—all without making unilateral concessions to Pakistan. Three main issues will prove particularly meaningful for the trajectory of bilateral relations in the coming years: Pakistan's potential extension of Most Favored Nation (MFN) status to India, the Kashmir dispute, and Afghanistan. All of these issues are important in their own respect; none will be decisive. But each provides a barometer for Pakistan's domestic political scene and for India– Pakistan relations in general. What is at stake is not only regional stability and prosperity, but the consolidation of democracy in Pakistan. In 2013, then-candidate Nawaz Sharif made normalizing relations with India a central argument of his campaign. For instance, in a television interview before the election, he professed his goodwill toward India, indicating his willingness to resolve all pending issues peacefully, including Kashmir; to not let Pakistani soil be used by extremist organizations to attack India; to forbid all anti-India speeches; and to launch investigations into the Kargil war and the 2008 Mumbai terrorist attacks. Hopes were high therefore that Pakistan would finally extend India MFN status, removing tariff and other trade barriers. Sharif did not articulate any conditions on which awarding the status would depend. But after months of procrastination, the issue remains unsettled. In early 2014, Islamabad announced that it had decided to move forward with the MFN determination, but it soon reversed its decision. This remains a sore point with India. In February 2014, Indian Commerce and Industry Minister Anand Sharma cancelled a trip to Lahore, accusing Pakistan of having “failed to enact trade boosting measures that had been agreed upon, including the start of the round-the-clock truck passage…and the opening up to trade of hundreds of currently restricted items.”2 Pakistan is now stipulating that MFN will be attributed to India only if New Delhi reopens the composite dialogue, a stalled executive-level negotiation process involving all pending issues between the two countries including Jammu and Kashmir, water sharing, economic and commercial cooperation, etc. Awarding the MFN status to India would thus serve the interests of the civilian government in that the economy would benefit from free trade with India, but this would only partly satisfy the military. Rawalpindi's motivation for better interactions with India is real, but limited and essentially tactical. This opens some diplomatic and political space that the government could exploit and possibly enlarge, providing it could keep its relations with the military under control. But a spectacular advance in trade relations between India and Pakistan is unlikely. It would depend primarily on improving civil-military relations within Pakistan, since the Pakistani military remains the most influential objector to trade normalization. In the process, Pakistan, whose economy is in shambles, has much more to lose than India. New Delhi can afford patience here. Its economic future does not lie in any specific trade relation with its South Asian neighbors, but in its integration in the global economy. Six months after Narendra Modi's accession to the post of Prime Minister, Kashmir, traditionally the main point of contention between India and Pakistan, again commanded all attention in October 2014 as it experienced the most intense exchange of artillery fire across the Line of Control and the international border in a decade. The Pakistani army is in no position to challenge India along the Line of Control, since the bulk of its forces are on its western front. Skirmishes in Jammu and Kashmir resumed in August 2013, shortly after a meeting between Sharif and Kayani during which the Chief of Army Staff reportedly told the newly-elected Prime Minister that rapprochement with India was acceptable, but should not be too fast. Shortly afterward, occasional troubles resumed along the LoC. The Pakistan military seemed intent to prevent any temptation by the government to ignore its instructions for patience. It therefore provoked India to impede any rapprochement with the Pakistani government. The incidents remained limited in scope to avoid any escalation. Rawalpindi's most recent signals, including the recent exchanges of artillery fire, are unlikely to lead to any kind of escalation in the military buildup on either side of the LoC. They indicate, however, that the significance of the Kashmir issue is changing. Kashmir has become as much an indicator of the evolution of civil- military relations in Pakistan as of the India– Pakistan relationship itself. Pakistan-generated troubles in Kashmir do not give Islamabad an additional inch of Kashmir territory, nor do they improve Pakistan's bargaining position; instead they temporarily stop any possibility for the civilian government to conduct negotiations on other aspects of the bilateral relationship with India. It therefore helps the Pakistani military in reasserting its control over the country's foreign policy. But this evolution does not make a settlement of the issue any less complex or uncertain than it was in the past. For India, the question raised by uncertainty over Pakistan's actual positions on issues such as MFN or Kashmir is much more immediate: what level of violence should India expect in the months and years to come? Some Indian experts anticipate a renewal of violence in Kashmir, a prediction sometimes echoed by Pakistani former officials in private. These expectations raise the question of India's options vis-à-vis Pakistan. New Delhi cares far less about Islamabad's irredentist claims on its territory than it does about the uncertainty of Pakistan's political future. For many Indian officials across the political spectrum, the lack of a unified Pakistani center of power with a single policy makes meaningful negotiation and settlements impossible. Stuck in its own contradictions, Pakistan is not amenable to any policy initiated from the outside, be it favorable or hostile. This therefore condemns India to remaining essentially reactive until Pakistan can resolve the tensions in its foreign policy. On past rare occasions when India has made the first move toward advancing relations, different segments of the Pakistani establishment interpreted them in divergent and often conflicting and counterproductive ways, no matter what the proposal contained. For instance, Manmohan Singh's proposal to make the border between the two countries irrelevant in Kashmir—and Pervez Musharraf's relatively positively answer—generated strong dissent within the Pakistani military. True, New Delhi can favor or close any possibility of dialogue. It can also raise the cost of potential aggression. But the decision to normalize the relationship belongs ultimately to Pakistan. In this context, widespread speculation about the positive or negative influence of Prime Minister Modi's ascension or the nationalism of his Bharatiya Janata Party (BJP) is in many ways irrelevant to the India–Pakistan conflict. These factors in India could facilitate or complicate the acceptance of a political settlement between the two countries, but they cannot drive the relationship. Similarly, a flare-up of communal tensions could slow the pace of an eventual normalization but would not derail it completely. Modi's first several months in office illustrate this dynamic well. His invitation to the SAARC leaders signaled a model of management for the relationship with Pakistan, although its intention and impact are not limited to India's relationship with Pakistan alone. With this move, Modi made it clear to his Pakistani counterpart that Pakistan is not his sole foreign policy concern, but he also ironically half-opened a door to improving that relationship which many thought was closed for the foreseeable future. In short, Modi has made Sharif aware of India's conditions, mostly related to terrorism, for a significant improvement of the relationship; it is now for Pakistan to demonstrate its willingness to take action. The tough Indian response to Pakistani October 2014 provocations in Kashmir may have calmed down the latter's temptation to further test the resolve of the Indian government, but the risk of a major crisis persists. Modi has a reputation for decisive leadership, which creates an additional political constraint in that he cannot politically afford to look weak. Indeed, India has limited options for responding to a major attack. In a recent article, journalist Praveen Swami enumerated five possible Indian responses to an attack originating from Pakistan: doing nothing; coercion through an Indian army mobilization along the LoC/international border; actually using artillery and infantry along the LoC; striking jihadist training camps; and using covert means.7 None of these options, however, is totally satisfactory as none is likely to push Pakistan toward normalization. Calculated inaction, for example, characterized New Delhi's response to the November 2008 Lashkar-e-Taiba (LeT) attacks in Mumbai. This approach earned India goodwill with major powers, including the United States, and increased pressure against Pakistan. No major LeT attack on Indian territory has taken place since. But even though a restrained strategy paid dividends in 2008, it is highly dependent on third-party pressures on Islamabad. Thanks to the demands of its withdrawal from Afghanistan, the United States is temporarily too dependent on Pakistan to risk a crisis with Islamabad unless a major terrorist attack obligates it to do so. This does not mean that Washington would not intervene in case of a major crisis, but rather that its threshold for intervention is probably higher than in 2008. Similarly, coercion modeled on India's 2001–2002 response to the Pakistani- sponsored attack against the Indian parliament has its drawbacks. By deploying its vastly superior army along the international border, India coerced Pakistan into mobilizing its forces after the Pakistani attack against the Indian parliament. The financial cost of the mobilization as well as the opportunity costs due to the temporary stoppage of all direct investments weakened Pakistan's economy, but also, for the same reasons, New Delhi's. Limited strikes on Pakistani jihadist training camps or shelling targets across the LoC are also possible options, but it is uncertain whether they would produce meaningful results—and they carry a high risk of escalation, up to and including the use of nuclear weapons. Finally, according to Swami, India's intelligence agencies seem to lack the capacity to mount covert operations in response to a crisis. Domestic political factors must also factor in to any political options. Narendra Modi, who capitalized on his hardline image during his campaign, will likely find it difficult not to react in case of a major Pakistani aggression. Many of his supporters claim that restraint similar to Manmohan Singh's in November 2008 would be politically suicidal. The real problem, however, is the definition of what would constitute a major Pakistani terrorist attack that would also demand a response. There is no obvious answer to this question, including among people who favor a muscular intervention. Much would depend on the prevailing political circumstances. The need to show evidence of the links between the Pakistani state and the terrorist groups further complicates the question. Since 2008, far fewer reports have surfaced of direct attacks by Pakistani groups on Indian soil, but many more allegations of cooperation between Pakistani intelligence agencies and indigenous Indian terrorist organizations have. The best guarantee against the use of any of these five options, with all of their attendant risks, lies therefore in Pakistan exercising restraint due to its domestic security situation. The intensification of terrorist attacks on Pakistani soil compels Islamabad to reduce its force levels along the LoC and the international border, heightening its disadvantage vis-à-vis the Indian military. This forces Pakistan to exercise greater caution, lest it be drawn into a shooting war it is not fully equipped to fight along the border. The recent October 2014 tensions in Jammu and Kashmir illustrate the point. India responded forcefully to what it saw as Pakistani provocations along the LoC and the international border without triggering a massive mobilization on the Pakistani side. Pakistan expected a calibrated response, but was taken by surprise and had no real good option to get out of the crisis. Islamabad understands it is trapped: it needs to dedicate sufficient forces to combat domestic terrorism and insurgencies, but it also has a perceived need to keep issues like Kashmir alive without developing a military capacity that could face and/or escalate the potential consequences of its provocations. Since 2004, it also accuses India of supporting Baloch insurgents and, more recently, of supporting Islamic terrorism on Pakistan's soil. However, due to Pakistan's relative weakness, the indigenous roots of internal terrorism, and the Baloch insurgency, these accusations are unlikely to increase the tensions between India and Pakistan. On the contrary, they have created the conditions for a negotiation on renouncing terrorism that would no longer appear as surrender by Pakistan. This can only comfort those in the new Indian government who advocate a wait-and-see attitude. The real difficulty for the Modi government will come in defining a level of engagement with Pakistan that is sufficient to prevent the temptation of sponsoring terrorism, but limited enough to force Islamabad to make real concessions in anti-terrorism to secure greater gains. Should New Delhi make significant concessions early in the process, the incentive to renounce terrorism as a way of achieving foreign policy objectives will be nil or limited. The continuation of the back-channel negotiations— initiated by then-President of Pakistan Pervez Musharraf and then-Indian Prime Minister Manmohan Singh in 2005 to define the contours of a paradigm shift in the relations between the two countries—could offer, once more, the most effective instrument in advancing the relationship. But even backchannel negotiations are unlikely to prevent the rivalry from playing out once again in Afghanistan. Since 2001, the Western presence in the country has partly limited Indo–Pakistani maneuvering and provided both New Delhi and Islamabad a guarantee against the predominant influence of the other. With the departure of U.S. forces slated for the end of 2016 at the latest, chances are that Afghanistan will again become the backdrop for an Indo- Pakistani proxy conflict. Both sides deny this possibility, professing the purity of their intentions. Over the past four years, Pakistani officials have claimed that Islamabad's policy in Afghanistan has changed and that the era of interfering in its northern neighbor's internal affairs is over. As evidence of such ostensibly responsible behavior, Islamabad has reached out to its erstwhile foes from the former Northern Alliance; facilitated a reconciliation process between the Taliban and the Afghan government; and cooperated in the Afghan elections, assuring everyone that it did not support any particular group. The evolutions of the Afghan conflict, the domestic security situation in Pakistan, and Pakistan's relative diplomatic isolation all convinced Pakistani decision makers to adjust their strategy over the past four years. With the realization that a Taliban victory was neither realistic nor, perhaps, desirable in the short term came the need to reach out to other ethnic groups. Interestingly, most Pakistani officials would dismiss the notion of a “power sharing agreement” with the Taliban at the central government level, which would be a negation of the electoral process, but some of them would support the idea at local levels. Such a dynamic would inevitably produce a Taliban takeover of the Afghan provinces adjacent to the border with Pakistan and of a number of Pashtun enclaves in the North. The Taliban presence in and potential dominance of these areas—combined with the concomitant fragmentation of the anti-Taliban factions—would make any opposition to the Taliban more difficult, leaving the door open for a future Taliban offensive. At the same time, Islamabad is increasing its own control over the Taliban by preventing all attempts at direct negotiations between the Islamist militia and the Afghan government, unless authorized by Islamabad. In this context, the “reconciliation” process Islamabad says it is supporting appears essentially to be a means of conferring legitimacy upon the Taliban as political actors, preparing their future participation in an Afghan government sufficiently weak and divided to be more amenable to Islamabad's demands. Yet there are few reasons to believe that Pakistan is no longer trying to eliminate Indian influence in Afghanistan. Naturally, it is still trying to promote the emergence of a friendly Afghan government (or at least a government it can control) and expedite the return of Afghan refugees to prevent their potentially violent involvement in Pakistani politics. Thus, what Pakistan has presented for the past four years as a wholesale reversal of its old strategy is in fact a tactical readjustment designed to meet changing realities on the ground. Interference is still a reality despite some genuine rethinking in some government circles. The participation of the Taliban in the Afghan government (or at least its control of some provinces) is antithetical to New Delhi's primary goals of preventing the return of the Taliban to power and, if it cannot achieve this objective, mitigating its potential impact on the regional Islamist movement, while also weakening the connection between the Taliban and the Pakistani security establishment. For that purpose, New Delhi has established a quasi- containment policy around Afghanistan with all of Kabul's neighbors except Pakistan, and unfailingly supports the Afghan government. India has also supported the international presence in Afghanistan. But the announced U.S. withdrawal will inevitably weaken India's position within Afghanistan and diminish its own margin for initiative. New Delhi cannot ignore the fact that the new Afghan government will face severe economic and security constraints. It knows that its support to Kabul will at best slow down the erosion of the government authority, but cannot hope to arrest it altogether. More importantly, its position is highly dependent on the durability of the arrangement worked out by the U.S. administration to resolve the political deadlock that followed the accusation of fraud during the second round of the 2014 presidential election. The capacity of the elected President Ashraf Ghani and of his main opponent and now “CEO” of the government, Abdullah Abdullah, to maintain government cohesion will prove essential for the future of India's standing in Afghanistan. So far, Pakistan's preoccupation with the security of its own territory against anti-Islamabad militants, in particular along the Afghan–Pakistani border, offers India the best protection against excessive interference in its Afghanistan's affairs—but it makes New Delhi dependent on a situation it does not control. There is little doubt, however, that should India–Pakistan relations deteriorate, Afghanistan, not Kashmir, would soon become their battlefield of choice once more. The geographical location and the proxy nature of the conflict would diminish the risk of a nuclear escalation because few core interests on either side would be at risk. Although India and Pakistan officially profess their goodwill toward one another, none of the conditions for a real rapprochement are met. Despite Pakistan's assurances that it is ready to seek an agreement with Modi, as it did under the last BJP government, this consensus seems quite superficial and linked to the security situation, which forces the military to dedicate a substantial part of its resources to domestic tasks rather than to antagonizing New Delhi. It would, however, be a mistake to assume that the military is resolutely opposed to all kinds of rapprochement with India. The military still needs the civilian government to break the vicious circle of economic regression and international isolation in which successive incompetent Pakistani governments (including under military regimes) and adventurist policies of the security establishment have locked the country into. It therefore wants the Prime Minister to improve relations with New Delhi in service of that goal, but to do so without creating the kind of organic links that would emerge from the development of a strong economic relationship. There are also powerful incentives, however, for the military to stall an eventual rapprochement for as long as possible. Peace with India would challenge the narrative that the military's outsized role in Pakistani government and society is essential to the country's security, and would therefore seriously challenge its influence on Pakistani politics. This further shows that the military is no longer politically omnipotent. The relative unity of the mainstream Pakistani political parties not to cooperate with the military limits the latter's capacity to manipulate politics. Couple this with the Army's need for its “eastern front” with India to remain quiet while it fights anti-Pakistani insurgent groups along the Afghan-Pakistan border, and some space opens up for the government to maneuver, including in relations with India. Nawaz Sharif can now initiate a rapprochement with India, providing that it does not lead to the abandonment of any of Pakistan's traditional claims such as Kashmir or the Sir Creek water dispute. On the Indian side, Modi does not seem to consider Pakistan a priority, both because of the destabilizing political uncertainties between Islamabad and Rawalpindi and because the weakened Pakistani economy is not a very attractive market for Modi's growth-centric agenda. India would benefit from better relations with Pakistan, but its economic future does not depend on it. Yet, the new Indian Prime Minister cannot totally ignore Pakistan. All previous attempts to do so resulted in the resumption of terrorist attacks, a situation that India wants to avoid—not least because a possible escalation into even a conventional conflict with Pakistan could impede the new government's program of economic reform. In its confrontation with Pakistan, India is not without assets: it could certainly exact a heavy toll from Pakistan in retaliation to any aggression. Yet, New Delhi is not capable of dictating the terms of an agreement to Islamabad, who, although the weaker of the two actors, controls the evolution of the relationship. 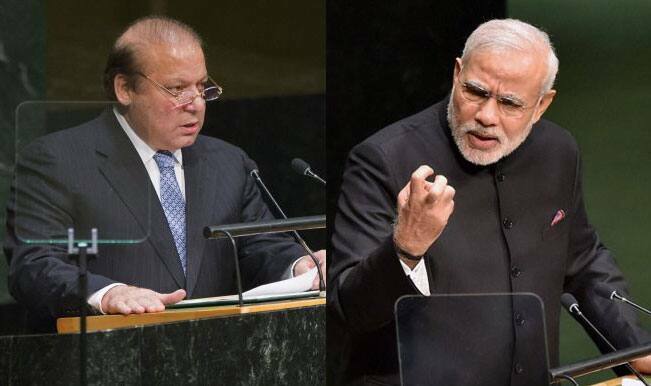 The choice facing Islamabad has implications beyond just its bilateral relationship with India. Pakistan must decide between joining the development bandwagon or becoming increasingly marginalized in the international community. Making this decision will require Pakistan to speak with a single voice, including both the government and the security establishment. Given the configuration of Pakistan's polity, only a consolidation of democracy in the country will therefore allow for substantial improvements in the relationship with India. But consolidation of democracy will be, at best, an incremental process. In the current situation, the willingness of the Pakistani government to normalize relations with India is real, but it still clashes with the more or less open opposition of the military which can sabotage any negotiation process at any time. Bilateral relations in the coming months and years are therefore likely to fluctuate between periods of appeasement and occasional crisis. There is little chance of a major conflict, but any deterioration of the security situation, especially in Kashmir or Afghanistan, could revive the risk of terrorism. In the meantime, no matter what Modi or any Indian leader does for the foreseeable future, the key to any long-term rapprochement between India and Pakistan rests on an improvement in civilian control over the military in Pakistan itself. 1. Hindutva is a form of cultural nationalism that defines Indian culture in terms of Hindu values, a sensitive issue in a country still affected by the trauma of a 1947 partition decided on the basis of the Hindu–Muslim divide, and where Muslims still constitute the most important religious minority. 2. Jon Boone and Jason Burke, “Military blocking Pakistan-India trade deal, says Shahbaz Sharif,” The Guardian, February 13, 2014, http://www.theguardian.com/world/201...de-deal-sharif. 3. Balance of Trade, State Bank of Pakistan, www.sbp.org.pk/ecodata/exp_import_BOP.pdf. 4. The Guardian, February 13, 2014, op. cit. 5. “General Raheel Sharif calls Kashmir as jugular vein of India,” DNA India, May 1, 2014,http://www.dnaindia.com/india/report...kistan-1983950. 6. See Maleeha Lodhi, “The visit and after,” The News International, June 3, 2014. http:// www.thenews.com.pk/Todays-News-9-253802-The-visit-and-after. 7. Praveen Swami, “Talking to Pakistan in its own language,” The Hindu, June 16, 2014,http://www.thehindu.com/opinion/lead...cle6101797.ece.